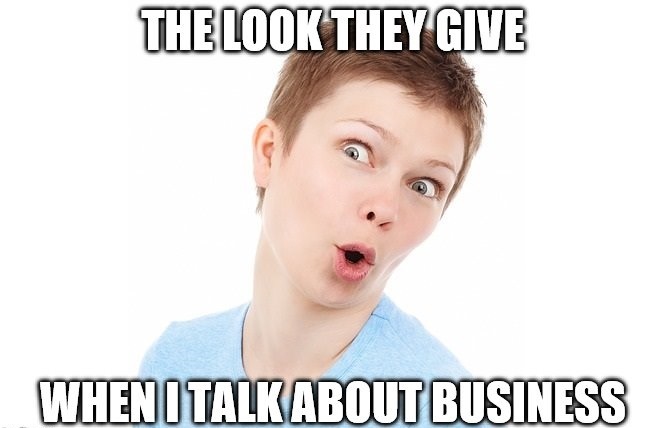 Do you always feel offended whenever you tell about your business to your family and friends? Are they so skeptic whenever you start to tackle about the earning potential you can get from it? Let me tell you, don’t let anybody downgrade your feelings with their opinions, most especially if they haven’t tried the business for themselves. To have a clear grasp on what I am talking about, here is my Financial Freedom Tip #2. I think the problem you are facing right now is the fear that you have from the doubtful opinions of people towards your business plan. This is the most common experience of those who try to take action and start a journey towards financial freedom. They are often judged on what they are doing and most of the time becomes a laughing stock. That’s why you also become doubtful about the business plan you have and starts to be discouraged to continue the journey. People has always something to say about you or what you are doing. Even if it is a compliment or an insult, people is always ready to give their comments. I think this is common to everyone most especially that most of us have a tendency to have “crab mentality”. This behavior is best described when people bring you down whenever they feel that you are going up. This is associated with crabs that are trapped in a container. As one of them starts to escape from it, the other crabs chooses to grab it and pull it back. Unfortunately, no one can change this innate behavior of human. On the other side, you can change how you can react to this kind of people. Don’t be afraid to explore new ideas. Don’t stop learning new ideas on how to improve your financial status. Go to the book store, find a book that teaches you a step by step guide on how to build your business. Whether it is about real estate or online marketing, as long as you have a passion in doing it, then try it! It is important to find something that you really want to do. Learning doesn’t stop. As you grow up and be the person that you want to be, you should continue acquiring new knowledge and skills. I know for some this is tiresome because this is definitely out of their comfort zone. By the way comfort zone means a state wherein you are already used to and is always familiar to you. An example is school. You can also search in the internet and find your passion. As for me, I have found an online university that taught me the ins and out of affiliate marketing. Wealthy Affiliate taught me how to build my own website and gave me step by step guide on how I can gain traffic and eventually earn. Like anybody else, people have so many doubts about the business that I joined. Even my family are not supportive and laughs on me because I spend 47$ a month just for a website. My cousin even always ask me if I am already earning and I kept on answering not yet. But to keep the conversation short and to lessen the conflict I just shut my mouth and continued with what I am doing. Besides, in reality, there is no legit business that can give you results in just one night right? My dad also has his share on how he feels about my business. He things that it is not real and is not worthy. He thinks that why would I join such a business if I know that it takes much time before you see results or I am not really sure that I can earn from it. I know I can’t change the mindset of my family. But it is just so hurtful that even your own family don’t believe in you. Sometimes people that you don’t know are more supportive and open minded compared to those people who you have spent your whole life with. My main point in here is that, Don’t let anyone dictate what you do. Don’t get easily discouraged with what you are accomplishing. Always put this in your mind, those people who judge you are just the people who are afraid to try what you are doing. And remember they have never done what you are doing right now so who are they to tell you that it wont work. Take action! Do exactly what your book or training is saying you to do. Follow the formula or blueprint the way they showed it to you. Don’t let anyone downgrade or discourage you. Instead use it as a motivation that you can prove them wrong.